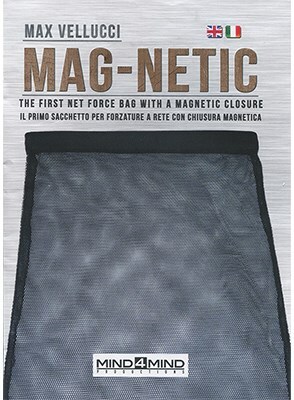 The Mag-Netic Bag is the first net force bag with a magnetic closure. It is an extremely stylish and versatile instrument, allowing you to perform extraordinary mind tricks in a clean and effective way. The convenient magnetic closure will allow you to hide the secret compartment to which you have easy access when needed, without any manipulation. With the right planning, you can even leave it in the hands of the audience. The Mag-Netic bag has been designed to meet the needs of professional mentalists and, for this reason, it is made of high quality materials and designed to be stylish and durable.